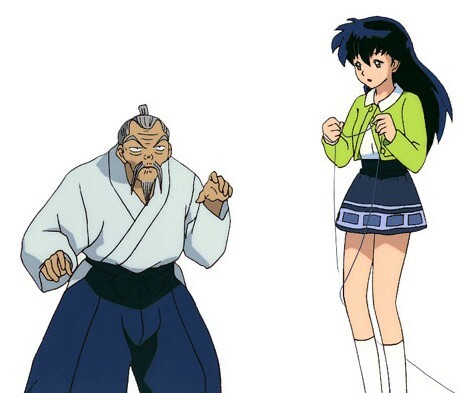 You wouldn't seriously want to ask advice of Kagome's grandfather. He casts ineffective spells, pastes up powerless Tao scrolls like a paperhanger, and invents elaborate lies about why Kagome can't go to school. 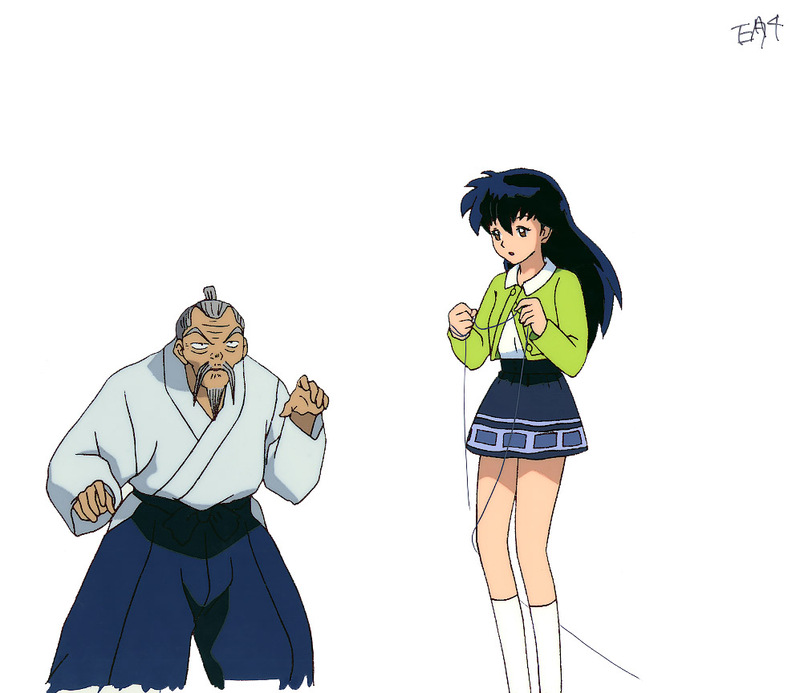 Given the strand of hair in Kagome's hand, this must be from one of the episodes involving Yura the Hair Monster.